"Equipment Leasing ... Simply Done!" 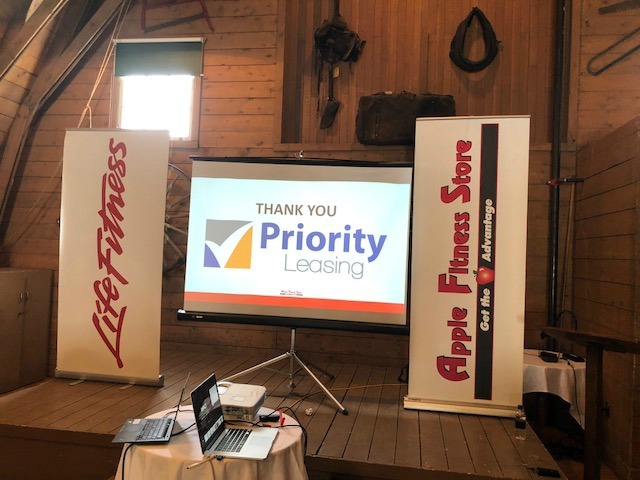 Priority Leasing was pleased to be one of the sponsors of the Apple Fitness Stores “Experience 2019” yesterday at Heritage Park. A host of industry experts spent the day speaking on the changes in the fitness industry including an amazing talk by Colin Milner, the CEO of the International Council On Active Aging. We are a service provider to Apple Fitness and work with them to get state of the art fitness equipment into public facilities, boutique fitness clubs, condo corporations and office towers. Which Equipment Should You Lease? Priority Leasing has spent 20 exciting years in the equipment financing industry. We are a 100% Canadian owned and operated equipment leasing company servicing clients across Western Canada in Alberta, British Columbia, Saskatchewan and the Yukon. Whether you need equipment for a startup or an established business, we can help you GROW! You can reach us by calling (403) 216-1930 or via email with our Website's contact form.